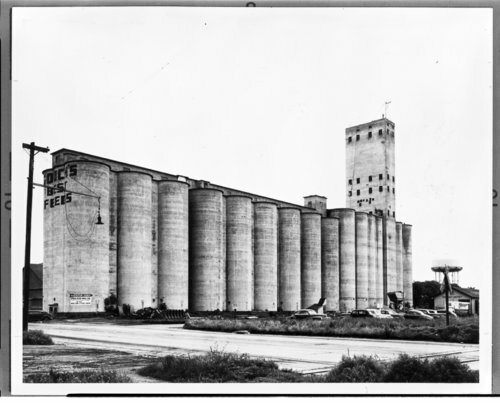 This black and white photograph shows the Gooch Feed Mill Company in Salina, Kansas. A sign on the elevator states that the Western Star Mill Company is the owner of the facility. In the background, the Atchison, Topeka & Santa Fe Railway Company's freight depot is visible.